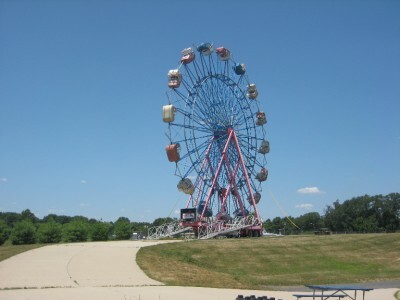 But here’s a brief recap: The acreage behind my house will soon be turned into a 170 home subdivision, and since our yard is not much to look at (unless you like wide open spaces), I thought I would treat our new neighbors with a visual delight with some help from our friends at the Sky Mall. 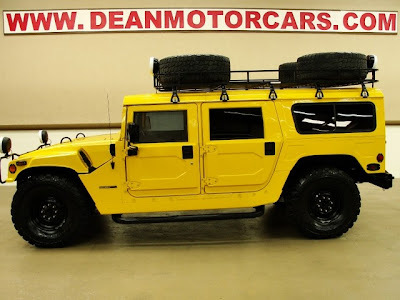 Option 1 was African Safari Oasis. 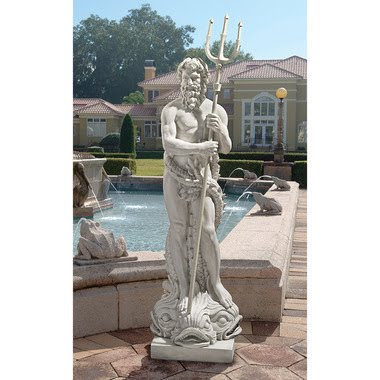 The muscular god of the sea holds his famed trident and stands astride his symbolic triple dolphin in our exclusive, grand-scale sculpt. 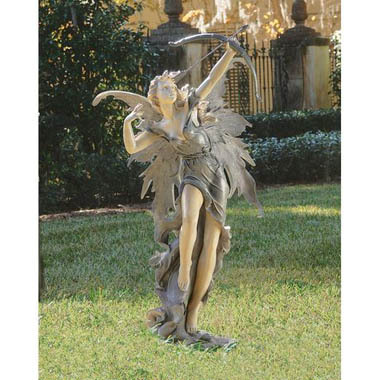 This Italian-inspired, 18th-century replica exudes the power attributed to one of the fabled gods of mythology. We don’t have a pool as pictured, but sometimes we get some puddles after a heavy rain. 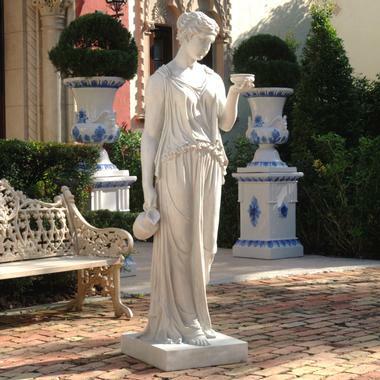 Balancing atop her grand plinth, our statue is based on a classic 19th-century sculpture of the goddess Aurora that once crowned an elegant garden fountain. 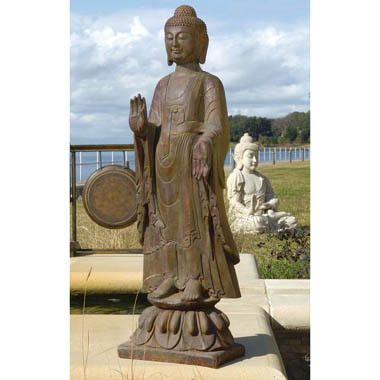 Floating on a stylized lotus, this nearly 3 1/2-foot-tall Buddha sculpture arrives like a refreshing breeze with his calm countenance and endless serenity. What better friend to have than one who changes all the sorrows of the world into happiness? 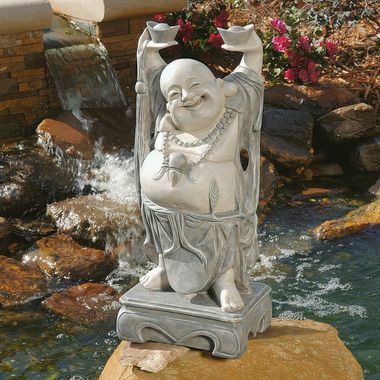 It is tradition to rub the belly of over two-foot-tall Asian work of art for joy, his ear lobes for wisdom, and the gold in his hands for wealth. 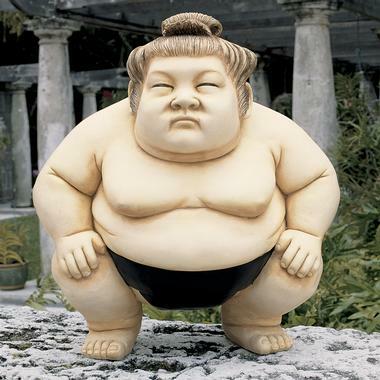 Basho crouches in his mawashi (Sumo belt) in these intricate sculpts with wide stances. I’m gonna be honest. My Japanese is a little rusty, but I’m pretty sure “Basho” loosely translates into “Tons of Fun”. Assumed to be depictions of local chiefs, heroes or gods, the giant statues on Easter Island are some of the world’s most intriguing archaeological artifacts. 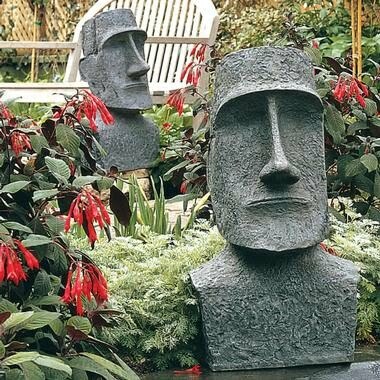 I’m not exactly sure anyone still worships these giant heads, but I’ve always been a fan of the unibrow. 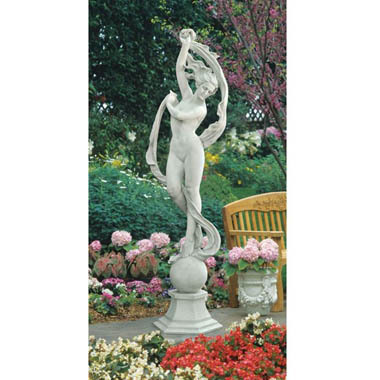 In a classic sculptural pose, our traditional work of European garden art depicts a beautiful archer drawing back to let her arrow fly. 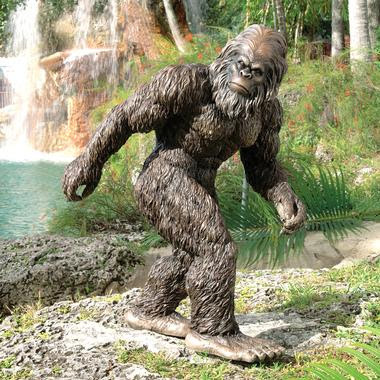 With alleged Bigfoot sightings the world over, from the Himalayas to the Americas, this elusive, mythical legend has been captured for Toscano in a quality designer resin statue and hand-painted for startling realism. Startling realism? Did Sasquatch pose for this statue? Hmmm…. Tomorrow I will conclude this series with one final option. I know…you’re welcome. I consider the neighborhood where I live to be ideal. Let me rephrase that. I used to consider the neighborhood where I live to be ideal. 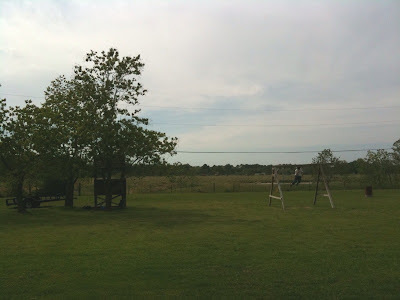 It’s close to everything, but once you drive back here, it’s like you’re living in the country. The lots are an acre or more, there are no sidewalks or streetlights and the neighbors are neighborly. Best of all, the back of our lot backed up to some woods and a field of cattle. 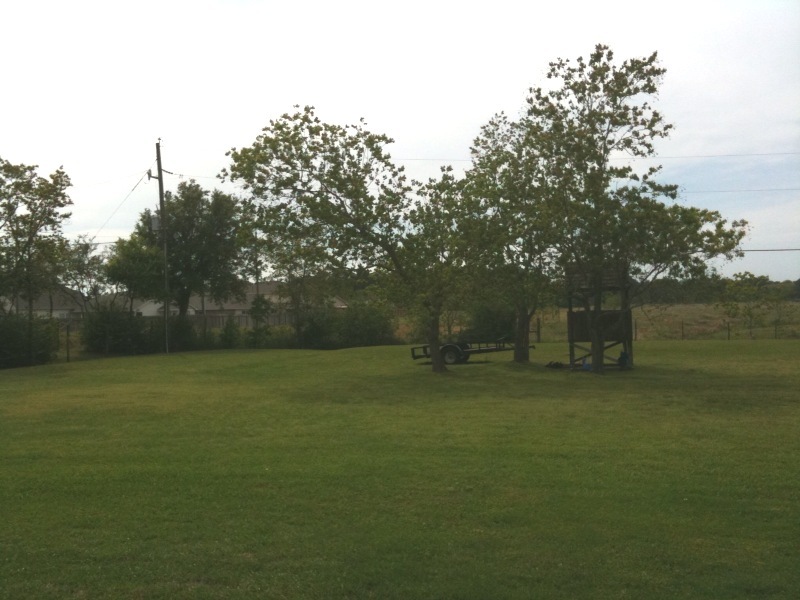 I remember sitting on the back porch at night and hearing coyotes and all manner of wildlife. That may not sound appealing to some, but I liked it. Not exactly visually appealing. 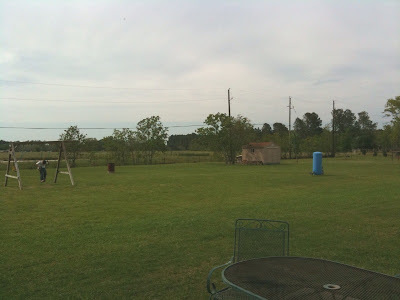 Oh, sure the blue pressure tank and the 55 gallon drum we use to burn trash are lovely, just not “fancy”. I want to give our new neighbors some fancy. And I need your help. That’s a pretty sizable backyard, and the summers here are what I like to call “Africa hot”. This option makes sense in so many ways. 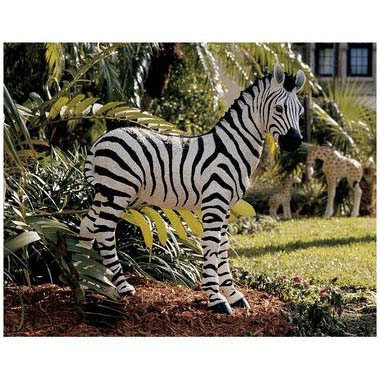 This exceptional work of art lends a touch of exotic flair to even the most domestic setting!…Imagine your guests’ expressions at spying this meticulously hand-painted, bold black-and-white Toscano exclusive in a flowerbed or along a garden path! We’ve little doubt why meerkats recently became beloved screen stars–they’re adorable! 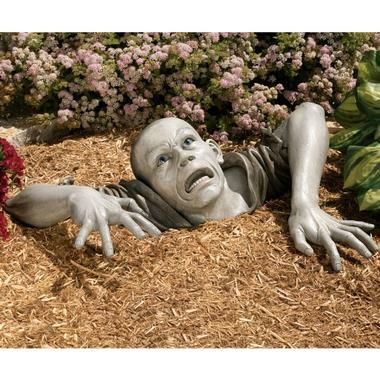 Our spirited sculptures busily climb “in through the out door” in this imaginative Design Toscano exclusive, two-part sculpt cast in quality designer resin and hand-painted in realistic tones for your home and garden. At almost 8 feet tall, it’s the largest garden sculpture we’ve ever offered! If you really want your garden to be noticed, Mombasa, our almost 8-foot-tall designer resin giraffe, is sized to impress! 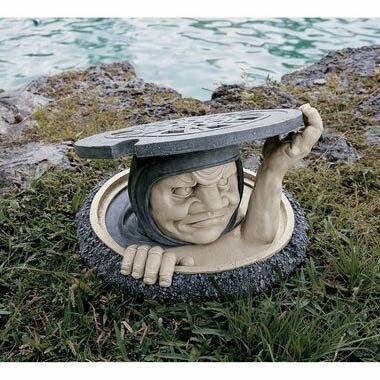 Since there’s no hiding this realistically hand-painted, exclusive sculpture, even amidst your tall trees and hedges, your neighbors are sure to be surprised when Mombasa moves in next door. For ornamental use only. (As opposed to what? There you have it. Option One for a grand total of $1,409.90 (plus shipping and handling). Tomorrow I will have a guest post, then on Thursday I will present at least 2 more options for you to choose from. Stay tuned. 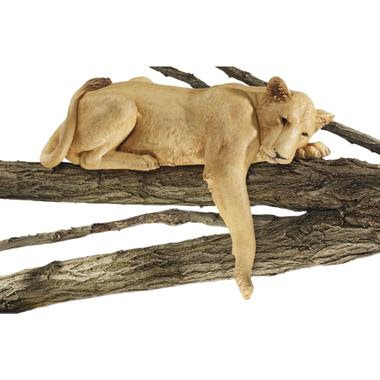 In the meantime, why don’t you check out some of these wonderful items yourselves at skymall.com. And tell them katdish sent you. Blog Fodder First in a Series! The New Sky Mall’s Here! The New Sky Mall’s Here! Since our final destination for Thanksgiving this year was some 15 hours by car, my hubby (God bless him) decided to pony up for all of us to fly the friendly skies. The experience far exceeded my expectations. The check-in lines were not long, the experience going through airport security was relatively painless, and even though we were flying on cattle-car Southwest Airlines, we were able to get some pretty decent seats. To add to this glorious experience (for us, not for Southwest), the airplane was only half full. My son was able to have an entire row of seats to himself — thereby eliminating the need to engage “arm rest wars” with his sister for 2 hours and 25 minutes. 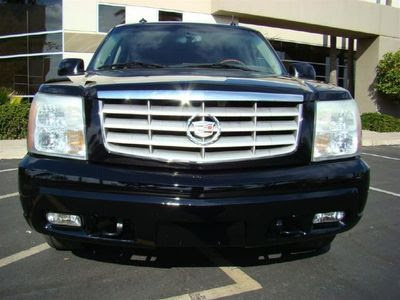 My Thanksgiving Day travel experience left me with a real “Attitude of Gratitude”. A funny thing happens when you write a blog (for me, anyway). Everyday, seemingly mundane experiences, in the hands of a seasoned blogging veteran (going on 8 months now – “I’ve come a long way, baby!”), are a never ending source for blog fodder. So what do you think I’m going to write about? Are you guessing that I will speak to the amazing physics behind a 80,000 pound, winged metal tube that is able to fly through the air? (You’ve obviously found this blog by mistake.) Perhaps you think I will write about the generous amounts of food (mini pretzels) and drink (ice laden plastic cups with approximately 2 ounces of your favorite canned beverage) they lavishly bestow on you. Did you guess that I might share with you my deep philosophical views on the subject of flight attendants and their “you’re lucky I’m even speaking to you” attitudes? (Actually, they were all pretty nice.) No, no, and no. What, pray tell, is the focus of this particular post? Well, silly! It’s Sky Mall! For those of you who are not familiar with Sky Mall , it is a delightful little catalog that can be found in the seat pockets of most commercial airplanes. It is a literal extravaganza of a bunch of overpriced crap that nobody needs. How truly American! 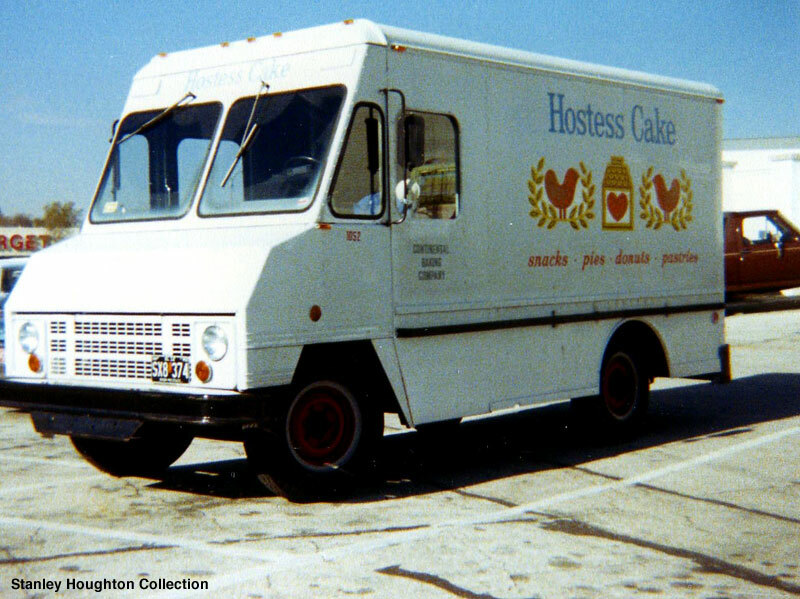 Truth be told, this catalog was such a wealth of material that I am forced to write a series of posts. I sense that you are all giddy with anticipation, so let me begin. Oh, what to give this year? Most of us have so much that we are either stuffing our closets, attics and basements to the brim or are looking for ways to get rid of the items that no longer have the sparkly shimmer of newness. But because I realize nothing says “I love you the most” like an overpriced gift, I am endeavoring to provide some gift ideas for even the most discriminating person on your Christmas list. For your shopping convenience, I have categorized items by the potential recipient of such extravagant awesomeness. Let’s kick things off with the most important person on your gift giving guide. Namely YOU! 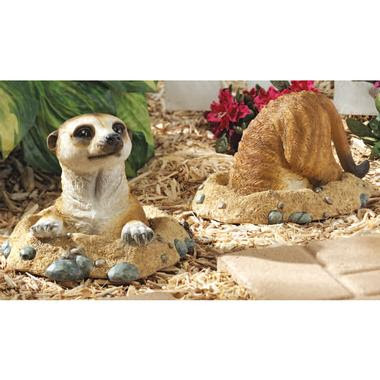 And what better way to get everyone in the holiday spirit than some over-the-top seasonal yard art? Nativity Set: What better way to express the true meaning of Christmas than a full color, pre-lit, blinged out Nativity Scene? Show all your neighbors that you heart Sweet Baby Jesus! And at the low, low price of $579.94 for the entire set, you might even consider buying one for your heathen neighbor. By now, some of you must be thinking, “Ah, Katdish! How pedestrian! I’ve seen all this before. How can I express my love of Christmas yet still maintain my sense of flair; my “razzle dazzle” if you will? Look no further. “Moving Hollywood-style Searchlights – with music . Two independently swiveling projectors cast large images that dance all over your home’s exterior from over 30′ away. Meanwhile, it plays your choice of 25 songs (20 Christmas, 4 Halloween, plus Happy Birthday) to add to the festivities.” ($139.99) I didn’t even know there was one Halloween song, let alone four! So, there you have it. With a little help from our friends at Sky Mall, you can make your neighbors green with envy and your heathen friends red with shame as they behold your holiday yard in all its glowing glory. We’re off to a great start! In my next entry, we will explore some fantastic gift ideas for your friends, family and business associates. Until then, remember that as long as you still have checks, you are never truly overdrawn, and that Christmas shopping is just the kind of “emergency” that your financial adviser was telling you about when he or she suggested you apply for a major credit card.